Your IT Security is our top priority! We find the Unlocked Doors and close them! Properly manage the risks of handling sensitive information. Security for your business is Ra Security Systems top priority. 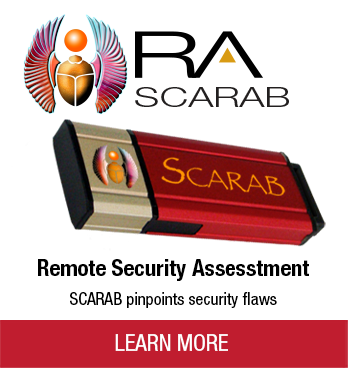 Ra Security Systems understand that security should never be taken for granted. Security measures already in place often fail due to poor implementation or inefficient maintenance. Or worse, your security system has been attacked! Is your business able to withstand these ever-increasing threats to your entire data infrastructure? Our U.S. - based team of security experts provides Managed Security Services and personalized security solutions, which help to protect the integrity of client data and information. Through comprehensive security assessments, penetration tests, and regulatory compliance monitoring, Ra Security Systems not only ensures that the most efficient IT security system is in place, but we are there for the long haul to make sure your security system is always at a maximum protection level. Recognizing that IT security is not simply limited to the IT department and can have an enormous impact on every aspect of the entire business, is evidence of Ra Security Systems' ability to see the big picture. We work with business leaders and IT professionals to achieve and maintain a secure environment in terms of IT security, regulatory compliance, and policy management.